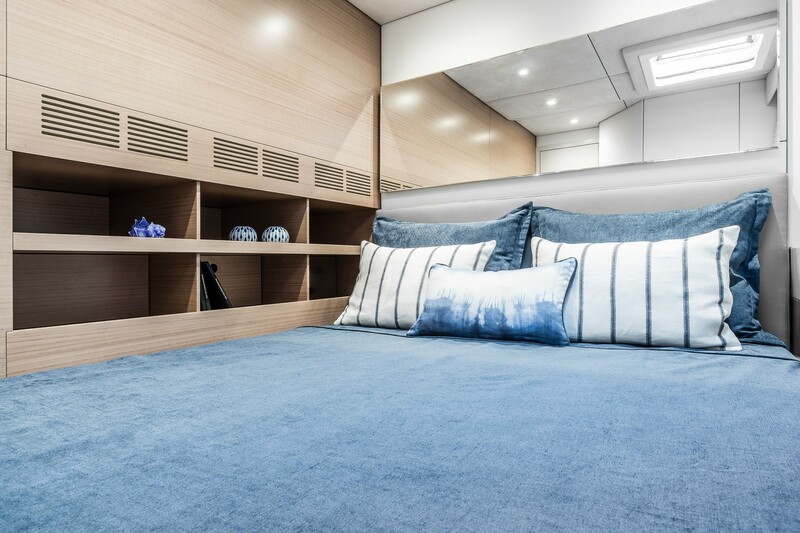 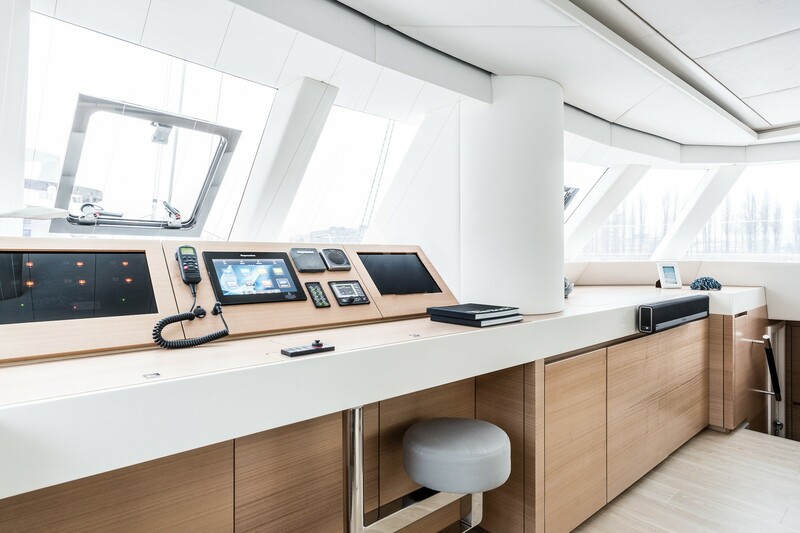 18.5m/61ft luxury catamaran ANNETTE II was built by Sunreef Yachts in 2017 and features a pale contemporary colour scheme that complements the pale wooden panelling with blue tones. 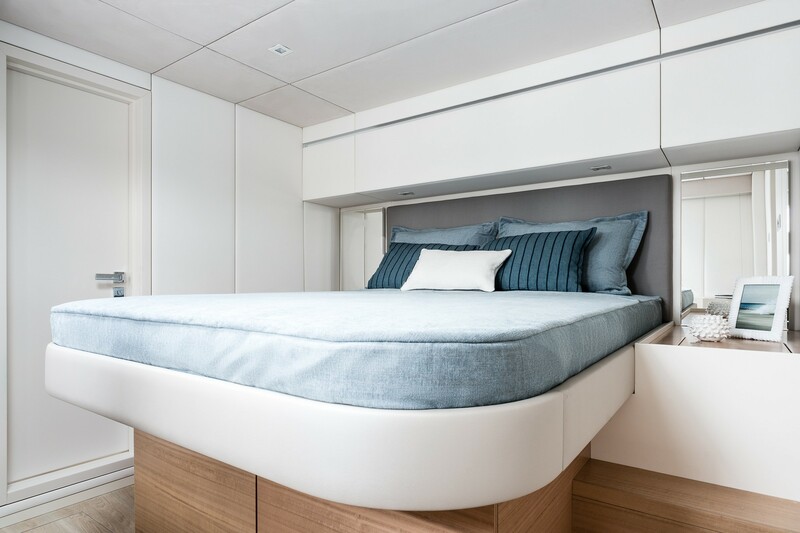 The accommodation sleeps up to eight guests over four cabins. 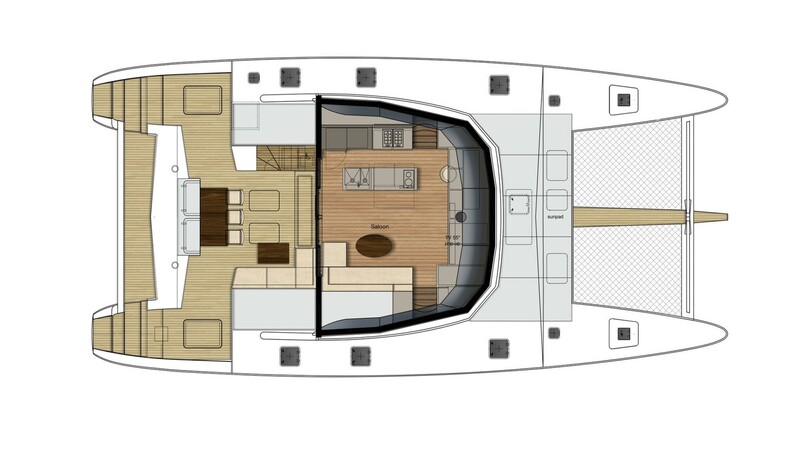 The aft exterior makes use of the 9m/30ft beam to provide a cockpit fitted with sunpads on the port and starboard sides, and an L-shaped sofa on the latter side. 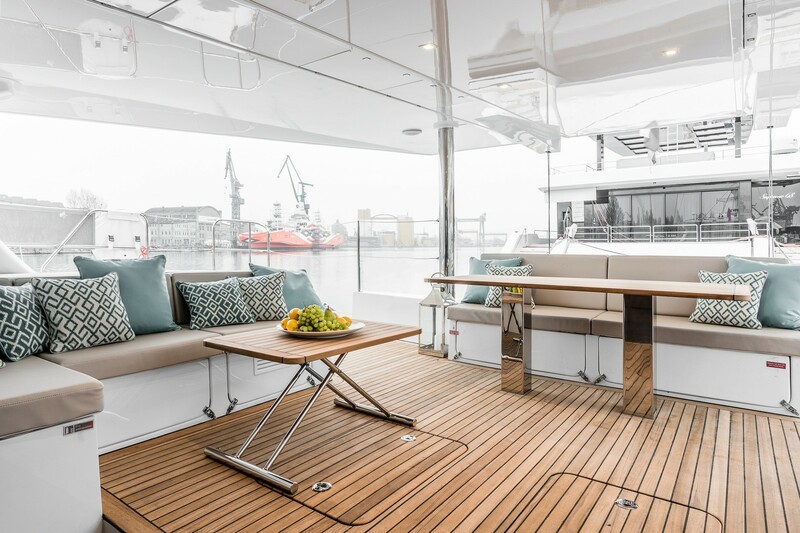 To the aft there is a sofa with a raised table for outdoor relaxation in the sunshine. 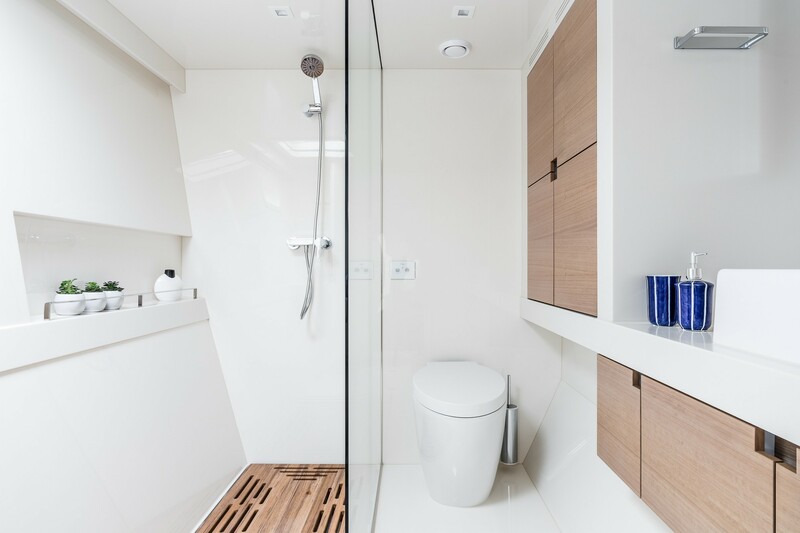 Two separate staircases lead down to the water for easy access. 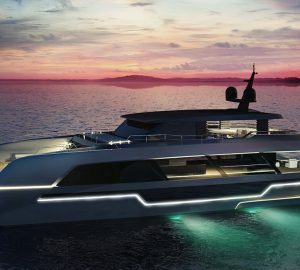 Two trampolines on the bow form the sunbathing area, while above the flybridge offers a C-shaped sofa and a raised table for outdoor living shaded by the hardtop. 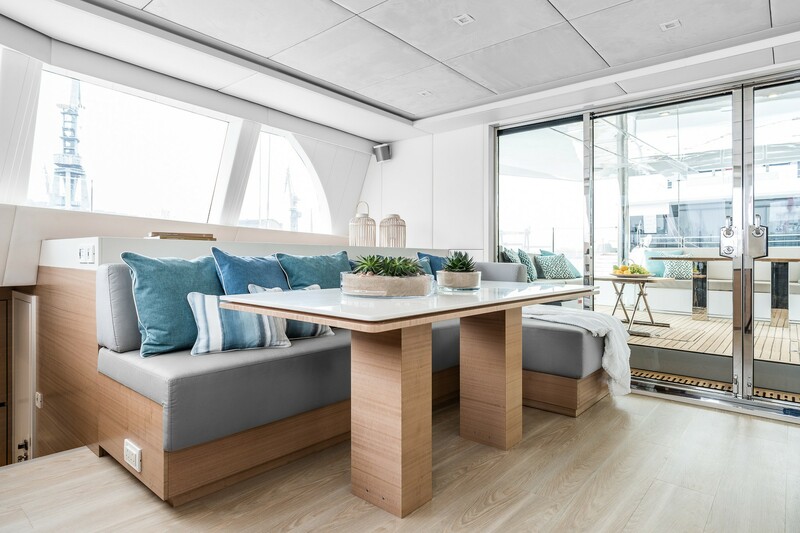 The salon is a spacious and light environment located at the centre of sailing yacht ANNETTE II and offers a combined lounge/formal dining area in the L-shaped sofa and raised table. 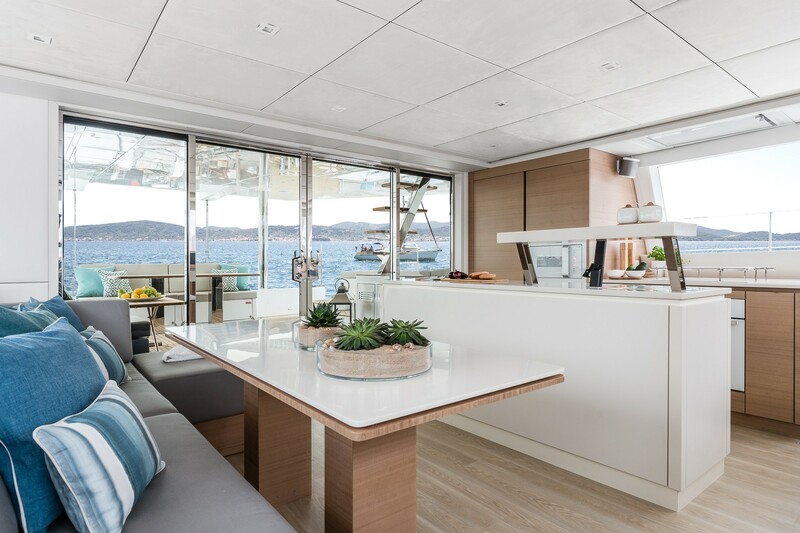 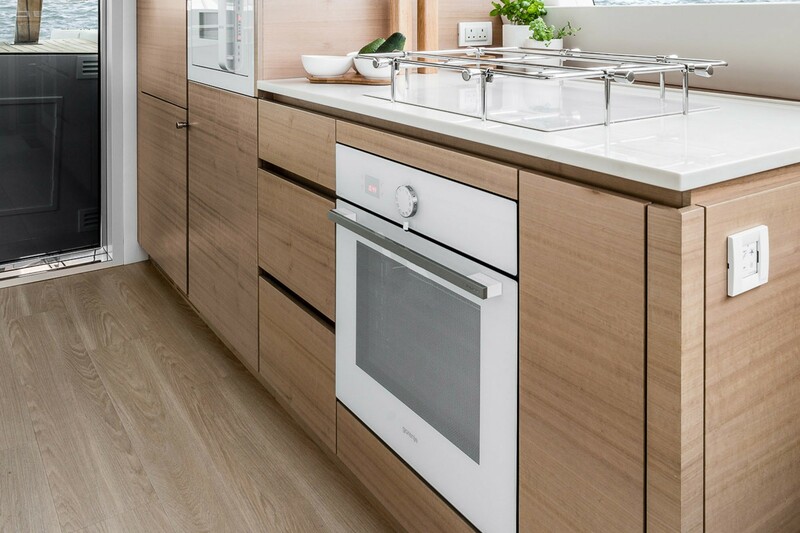 Opposite, the galley will provide meals and refreshments to guests wherever they choose to settle. 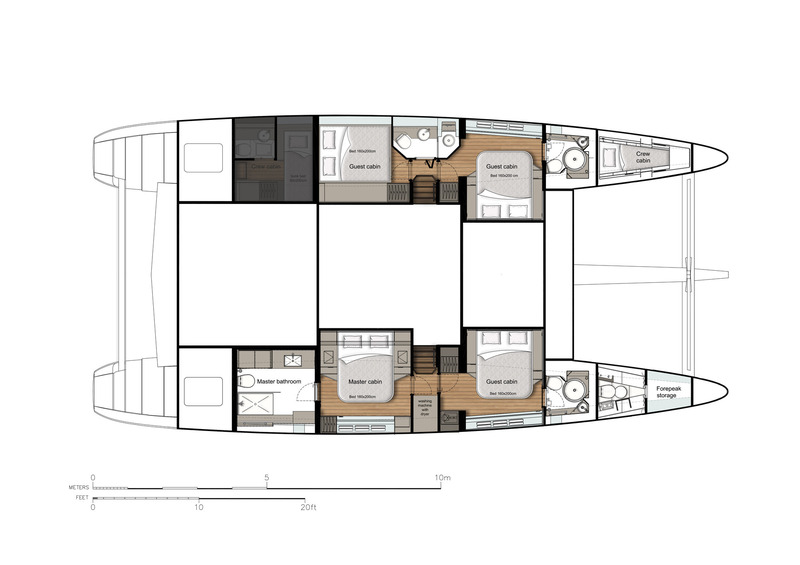 A staircase on either side leads down to the guest accommodation in the hulls, with the crew accommodation placed forward. 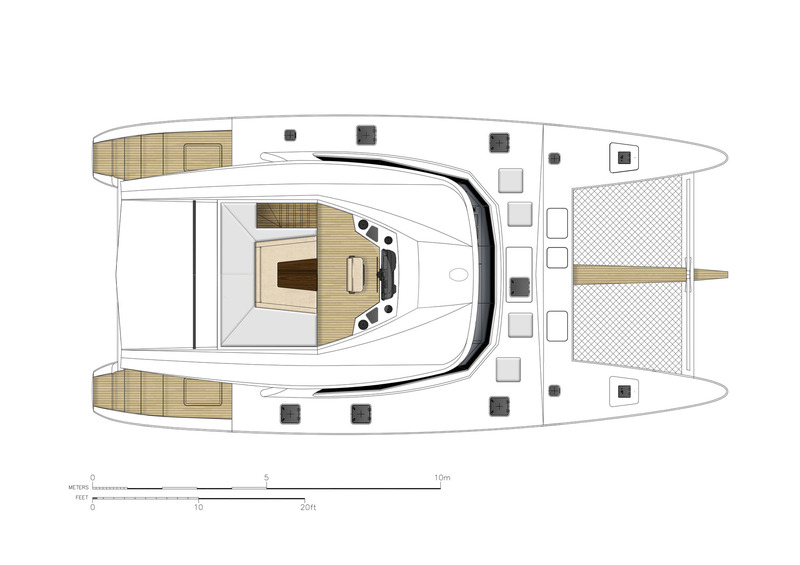 When the sails are not in use, 2 x Volvo D3 110 HP engines allow for a cruising speed of 8 knots. 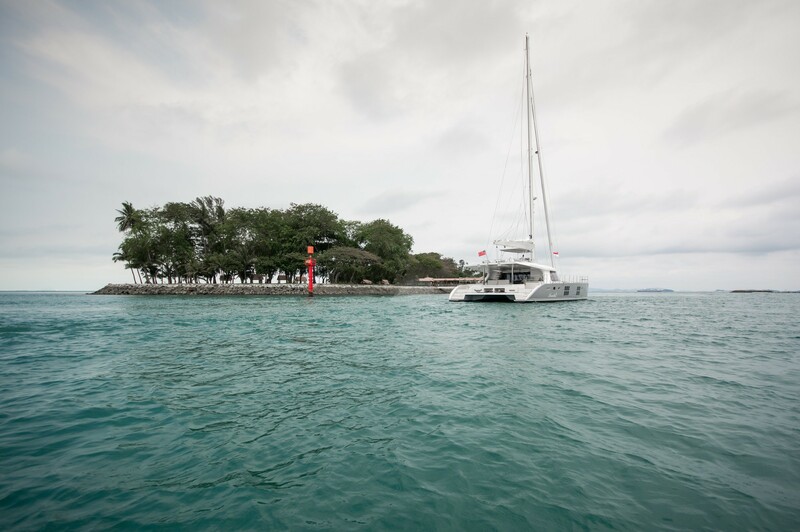 The accommodation sleeps up to 8 guests over 4 cabins: 1 Master suite and 3 double cabins, all with en-suite facilities.